The Riihitie Plant Pots were designed by Aino Aalto around 1937 for her own house, but never went into serial production. The plant pots are now handmade from ceramic, available in two shapes, three sizes and four colors each. 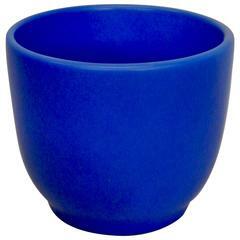 The plant pots are a must for any design lover and gardening enthusiast alike. Aino Aalto (1894-1949) was an architect, designer, and one of Artek’s founding figures. Upon graduating in 1920, Aino Marsio, as she was then known, started her professional career working for architect Oiva Kallio in Helsinki. In 1924, she moved to Alvar Aalto’s office; six months later, they married. Aino and Alvar came to work a great deal together, and their creative partnership was marked by absolute equality. Projects the Aaltos cooperated on include the world famous Villa Mairea in Noormarkku, the Paimio Sanatorium, and the Savoy Restaurant in Helsinki. As a designer, Aino Aalto is primarily known for her work in glass and interior design, and then as a furniture designer. But her interests included architecture and photography, as well as various areas of applied art and design. Among many other things, she designed furniture, glassware objects, ceramics, lighting, and printed fabrics. Aino Aalto came to play an important part at Artek; she was always closely involved in the company’s development, taking on the roles of Design Director and Managing Director. In many ways, it was Aino who laid the foundation for the aesthetics of Artek, which combined the modernist idea of clear form with simple surface ornamentation. Despite her untimely death, her international design legacy lives on, both in the Artek company and in her ever popular and much copied glassware. For non-US pricing, please inquire stating your country of residence. 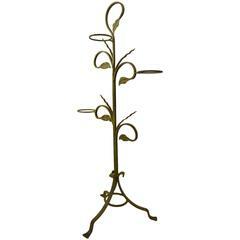 We will respond with an updated price and estimated lead-time. Artek was founded in Helsinki in 1935 by four young idealists: Alvar and Aino Aalto, Maire Gullichsen, and Nils-Gustav Hahl. 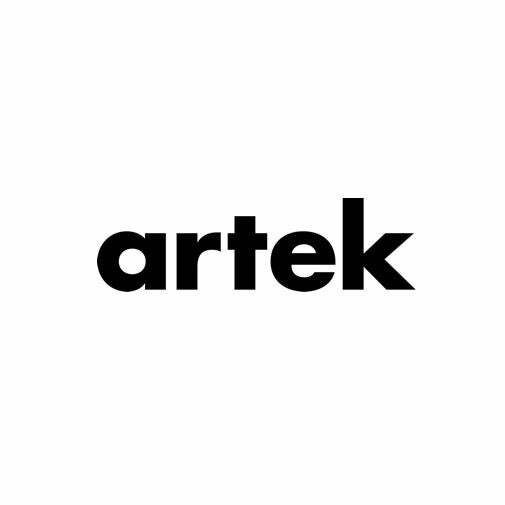 Their goal was “to sell furniture and to promote a modern culture of living by exhibitions and other educational means.” The name Artek is a synthesis of "art" and ‘technology’ – concepts central to the international modernist movement that came to prominence in the 1920s. It was Walter Gropius, a key proponent of modernism, who coined the motto ‘art and technology – a new unity.’ Technology was understood to include science and industrial production methods, while the conception of art extended beyond the fine arts to encompass architecture and design. Modernism aimed to achieve a fruitful union of these two spheres. This same aspiration guided the founders of Artek in their naming of the company. In keeping with the radical spirit of its founders, Artek today remains an innovative player in the world of modern design, developing new products at the intersection of design, architecture, and art. The Artek collection consists of furniture, lighting, and accessories designed by Finnish masters and leading international designers. It stands for clarity, functionality, and poetic simplicity. Pretty plant pot by Richard Ginori Hand-painted in Romantic style Made in Italy. 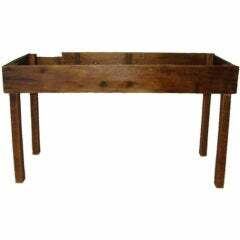 Americana wooden stand,used for pottong plants,would make a great plant display piece.Made of pine woods,very primitive. Gainey pottery planter pot in a rare blue glaze. 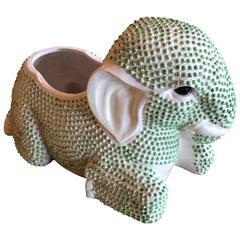 Such a cute vintage 1970s ceramic elephant planter with the best green hobnail! Perfect palm beach, Hollywood Regency piece!